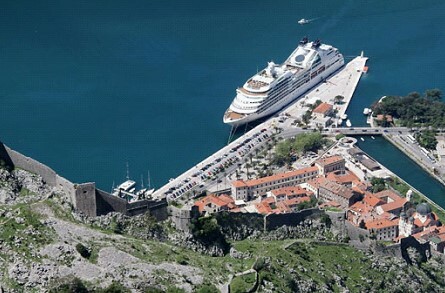 ﻿ Conquer the Walls of Kotor - An absolute must while visiting Kotor! An absolute "must" while visiting Kotor! 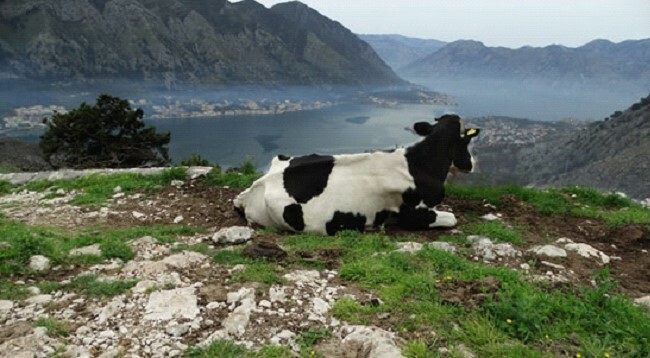 Dramatic and magnificent views of Kotor and the bay are the major rewards of this hiking tour. Well worth the physical effort involved! To reach the San Giovanni fortress, we begin our hike outside the walls on the Old Centinje Caravan Road (aka “Cattarro Ladder”). We’ll meet the only family living in the otherwise abandoned rock village Špiljari, where we’ll rest and sample homemade smoked ham and delicious cheese. 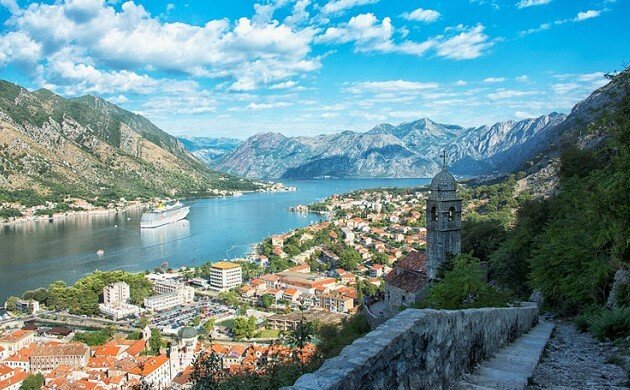 Afterwards, we begin our ascent to the upper elevations - from where you’ll be able to see every house, palace and church in the city - along with a large expanse of the Bay of Kotor and surrounding mountains. Now for the easy part comes – descending the 1,350 stairs inside the fortress walls. 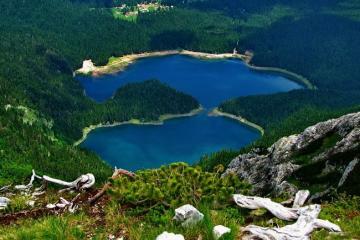 The views are simply spectacular - and we’ll have plenty of time for memorable photo ops along the way. 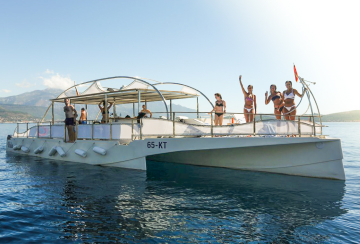 Meeting point and start time – determined by the agency depending on the agreement with guests. 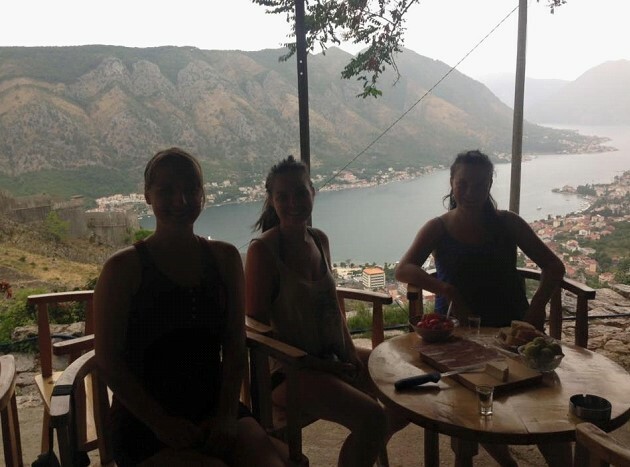 You can contact the agency via e-mail, or direct visit 360 Monte Travel Agency office is located in the Old Town of Kotor. To check exact location on a map, please click HERE. 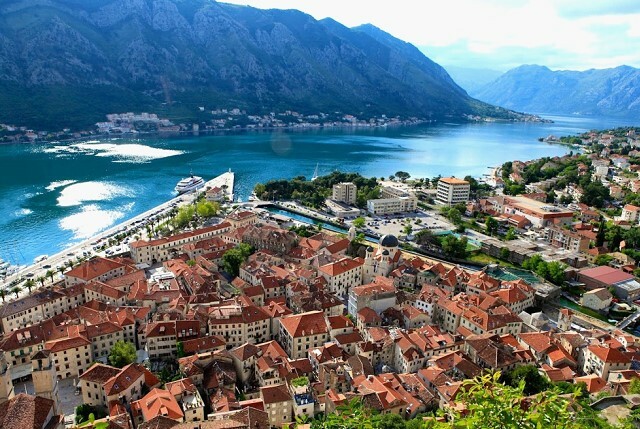 The Old Town of Kotor is well-sheltered from the open sea, situated at the end of the Kotor Bay, encased by formidable mountains – Mt. 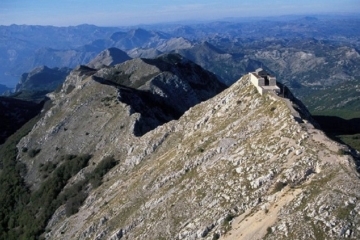 Lovćen and Vrmac hill. Strategically, it has proven to be an ideal position for safety in times of war, exemplified by the relative security the town has enjoyed given the turbulent history of the region. The Walls of Kotor, built between the 9th until 19th century on St. John’s hill, secured Kotor from enemies for more than 1.000 years. 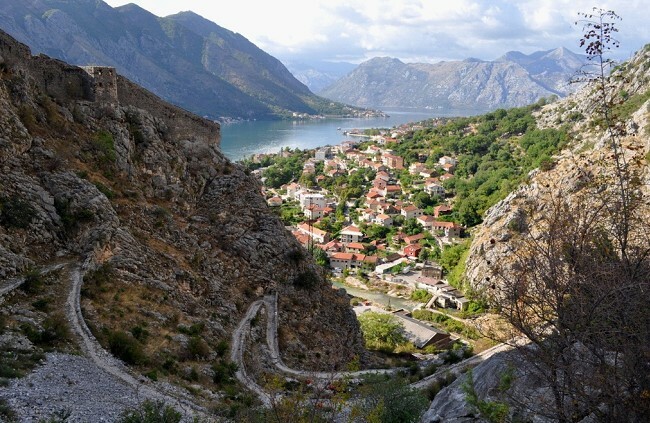 To conquer the walls and fortress of the Kotor Old Town we follow the Old Path up the mountain. 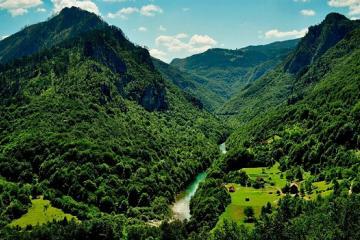 In the past it was the main caravan road connecting Kotor with the rest of Montenegro. 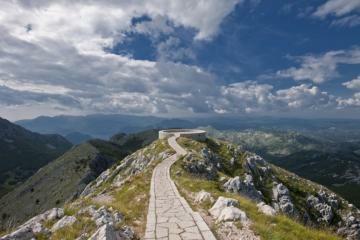 This spectacular serpentine road leads us to a small old village called Špiljari. This is where the only family remaining in the village lives. The perfect spot to get some rest and try some unique homemade products while enjoying breathtaking views! After the break, we’ll explore the remains of old houses and the abandoned church of St. John. For those courageous enough, you can experience the nearby cave path that exits on a cliff outside the city walls. This is one lucky cow! Finally, we will leave the ruins and proceed through a concealed passage to enter the fortress of San Giovanniat a 260 meter elevation above the sea.